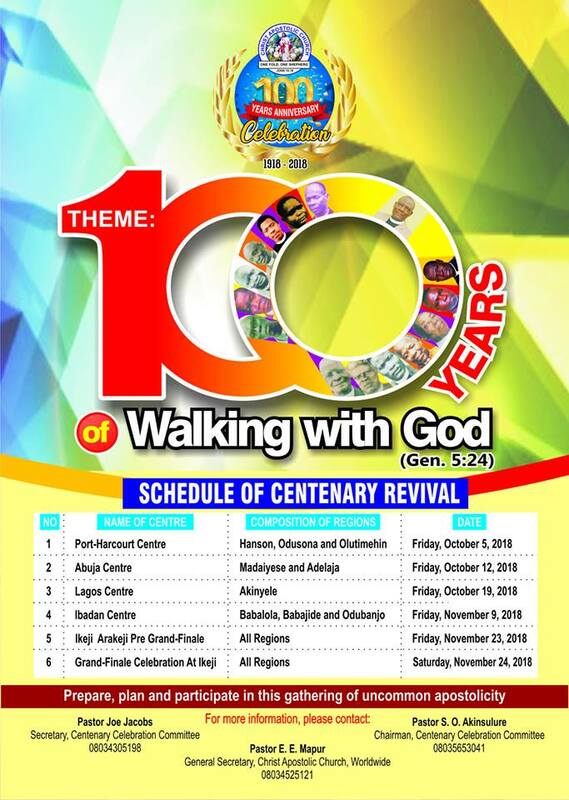 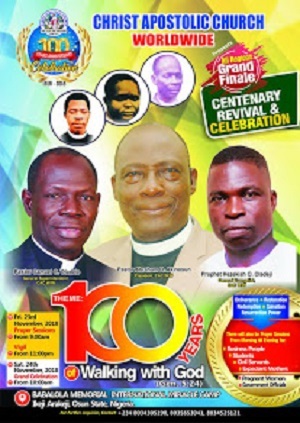 The General Evangelist of Christ Apostolic Church Worldwide, Prophet Hezekiah O. Oladeji is expected to minister as from today at the 3days crusade organised by the Evangelical Department of CAC Worldwide. 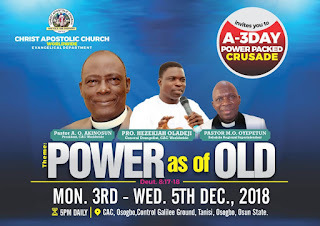 The Crusade holds by 5pm daily from today Monday December 3rd to Wednesday December 5th, 2018. 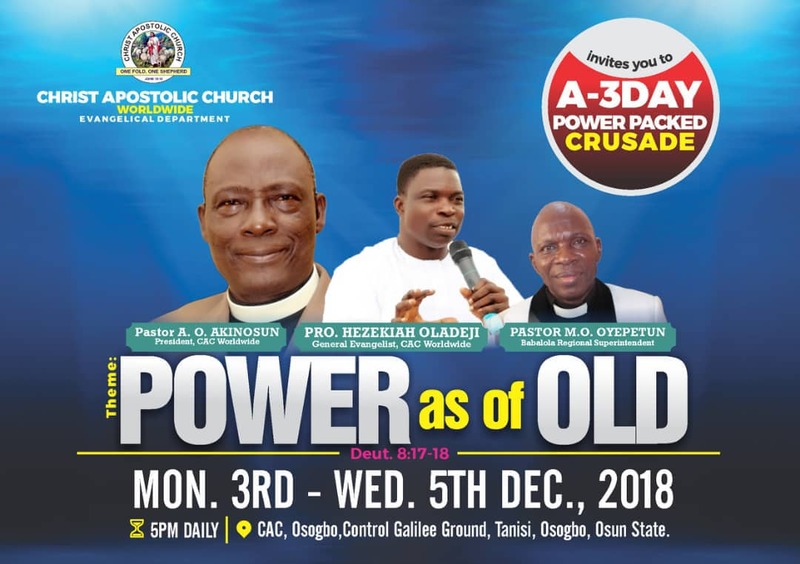 It was gatherer that the programme will hold at CAC Control Galilee Ground, Tanisi, Oshogbo, Osun State and the theme is "Power as of Old."